Johan Fellman, Hanken School of Economics, Helsinki, Finland. Different skew models such as the lognormal and the Pareto have been proposed as suitable descriptions of the income distribution, but such specific distributions are usually applied in empirical investigations. For general studies more wide-ranging tools have been considered. The central and most commonly applied theory is connected to the Lorenz curve. Without any assumptions concerning specific distributions, this theory enables analyses of temporal and regional variations in the income inequalities. Particularly, it is a valuable tool for studies of the effect of taxes and transfers to the redistribution of income. Taxation and transferring may have similar effects, but some marked differences with respect to their applications can be identified and therefore, both will usually be given individual presentations. 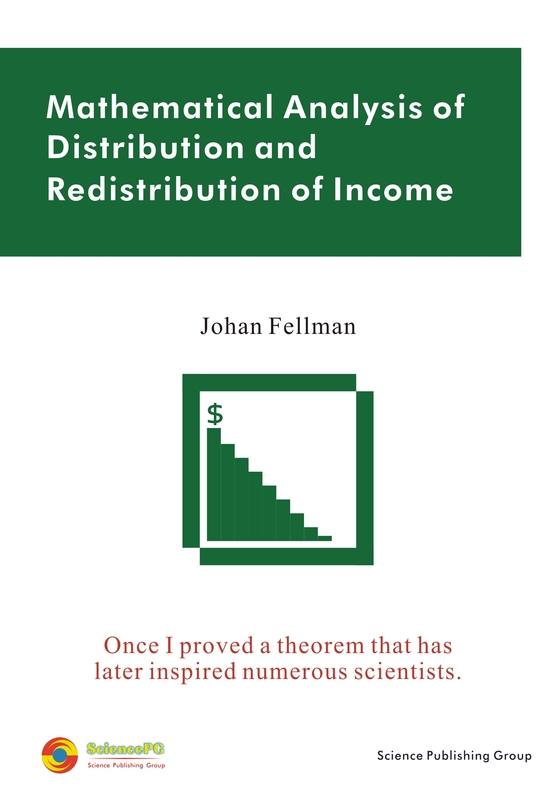 In this study the author has collected the central parts of his contributions to the theory of income distributions and furthermore, the author has tried to locate his results within the framework of the general literature.